Kobo’s Aura H2O is a new ereader that’s waterproof - so you can read on the beach or in the bath - and boasts a new lighting technology that should make it easier to read while in bed. ComfortLight Pro is a feature that detects the time of day you're reading and adjusts the screen’s brightness and temperature to the best level for your eyes. It’s a similar idea to Night Mode on iOS devices that makes it more comfortable to read your phone's display when you're in bed. ComfortLight Pro is the same tech we originally saw in the Kobo Aura One, but it has now been included in the waterproof Kobo range too. If you already own a Kobo or Amazon Kindle from the last few years it may not be worth upgrading to the new Aura H2O as the upgrades are minimal. 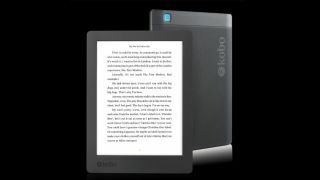 The new Kobo Aura H2O comes with a 6.8-inch screen with 265 pixels-per-inch and 8GB of onboard storage. The battery inside is a 1,500mAh cell and according to Kobo should last a few weeks from a single charge. Kobo's store may be a bit lacking if you're looking for a variety of books, but it's still worth a checking out if you're looking for a new ereader ready for your summer holiday. The Aura H2O price is $179.99 (£149.99, AU$239.95) and you'll be able to pre-order in from May 15, with a release date of May 22 set for the UK. It will be available for purchase in Australia and New Zealand in July, but an exact date is yet to be provided. A release for the rest of the word is currently unclear. Best ereader 2017: should you buy a Kindle?